John Marshall was born in Fauquier County, Virginia on September 14, 1755. He received very little formal education as a child. His father Thomas was a county land surveyor. John was the oldest of 15 children, eight sisters and seven brothers. There were no opportunities for any type of formal education in Fauquier County, so at the age of 14 his family sent John to an academy 100 miles away in Washington Parish. In Washington Parish he would become classmates with future president James Monroe. When John was 17, his father constructed a beautiful two story, seven room home, that he called Oak Hill. As the oldest son John Marshall inherited the estate when his father died. After serving in the Revolutionary War, John attended the College of William and Mary where he studied law. After completing his studies John Marshall was admitted into the Virginia bar, and soon afterward he became active in politics. Marshall served in the Virginia House of Delegates until 1796. A short time later, he was appointed minister to France. Then in 1800, President John Adams appointed him to the position of secretary of state. A year later, Chief Justice Oliver Ellsworth resigned and Adams nominated John Marshall. Marshall would serve as both secretary of state and chief justice for the last 6 weeks of Adam's administration. He wasted no time in putting his stamp on the court. Thomas Jefferson was very offended when Marshall read his decision in Marbury vs. Madision. Marbury vs. Madision marked the first time that a court had overturned a section of an act of Congress. This one act had the effect of elevating the judicial branch of our government to equal status of the other two branches of government. John Marshall followed this decision with a series of decisions that favored the central government over individual states. Chief Justice Marshall struck down one of Georgia's laws in Fletcher v. Peck further establishing the national governments supremacy in conflicts with the states. It also upheld the contract clause in the Constitution. This decision was followed by McCulloch v. Maryland which ruled that a Maryland tax that had been levied against the Bank of the United States was void. Marshall ruled that no state may tax or control any institution that was created by the federal government within its borders. In addition, he annulled Robert Livingston and Robert Fultons monopoly on steamboat traffic in Gibbons v. Ogden. This decision was important because it declared that only Congress can control interstate commerce. In the decision of Cherokee Nation v. Georgia (1831) Marshall stated that the Cherokee and other tribes were under the control of the federal government. However, he also denied that they were independent and sovereign. Marshall ruled that they were in fact wards of the federal government. He stated that they were “domestic dependents in a state of pupillage.” This was followed by his decision in Worchester v. Georgia which said that the Cherokee were entitled to keep their lands in Georgia. However, President Andrew Jackson refused to enforce the law, and the Cherokee were rounded up and held in stockades until they could be force on their 800 mile journey, a journey filled with hardships that would soon be called the “Trail of Tears.” During the forced relocation, 4,000 of the original 18,000 Cherokee died in route to Oklahoma. 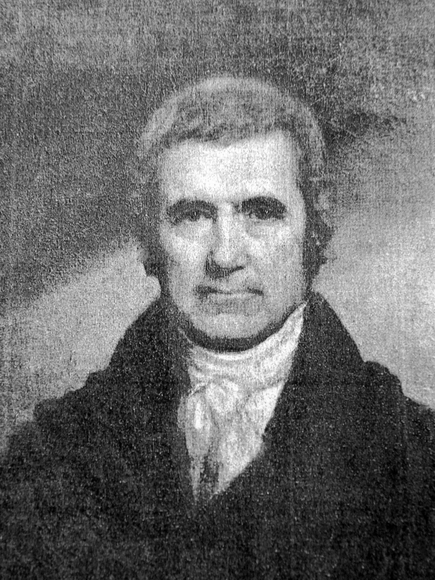 John Marshall would die in 1835 from injuries received during a stage coach accident.